"Our Mission is to be the leader in the market and promote the building and remodeling industry. We will do that by earning the trust of our customers through our commitment to service and by providing products characterized by quality, value and competitive price." Our Big, Audacious Goal: To maintain 98% repeat client rates. We build to appear as though it were always a part of the original house. We give it proper "design tie-in"! We can custom design your dream kitchen. Our sophisticated scheduling allows us to reduce the downtime during the process, minimizing any inconvenience. Baths are the most versatile rooms as far as creativity goes, let us show you designs and coordinate all phases for you and your family. 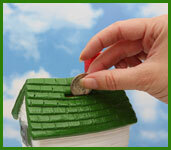 A new roof is a major investment for homeowners. Your roof is nearly half your home's exterior and must withstand Texas' extreme weather. We consider sustainability; maximizes nature's resources in efficient and responsible manners, in both the conduct of our business and in our remodeling projects. 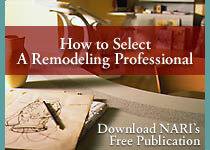 A Green Remodeling Professional and for Green-minded Homeowners. We take the professional approach in the field of green remodeling and encourage the homeowner to become educated about green remodeling practices. SA Building & Remodeling proudly serves Austin, San Antonio, and the Hill Country. We'll come out to your house or property in Texas towns such as Blanco, Johnson City, Spring Branch, Bulverde, Fredericksburg, Marble Falls, Wimberley, Stonewall, Horseshoe Bay, Driftwood, Comfort, and others. Give us a call!